AUTOCHECK CERTIFIED 2-OWNER, LOCAL, SOUTHERN RUST-FREE TRADE-IN! 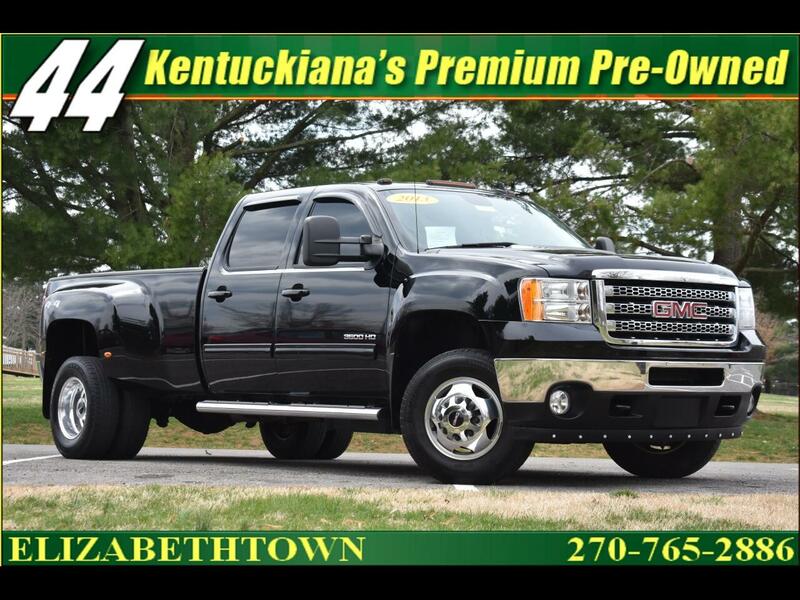 ONLY 61,000 MILES ON THIS SUPER CLEAN GMC 3500HD CREW CAB 4X4 POWERED BY THE FAMOUS 6.6 DURAMAX DIESEL AND LOADED WITH EVERY AVAILABLE OPTION INCLUDING FACTORY POWER MOONROOF, HEATED AND COOLED LEATHER INTERIOR, NAVIGATION, REAL ALUMINUM WHEELS (NOT SIMULATORS), AND LOTS LOTS MORE. INCLUDED ARE ALL OF THE ORIGINAL BOOKS AND MANUALS. WITH ONLY 61,000 MILES, THIS SUPER CLEAN DURAMAX IS NOT EVEN BROKEN IN! CALL OUR ELIZABETHTOWN STORE 270-765-2886 FOR MORE DETAILS. 44 AUTO MART IS LOCATED AT 1403 NORTH DIXIE HIGHWAY, ELIZABETHTOWN KY 42701. WE ARE ONLY 30 MINUTES SOUTH OF LOUISVILLE AND JUST 2 MINUTES FROM I-65, AND THE WESTERN KY PARKWAY! Our entire inventory of PREMIUM PRE-OWNED vehicles has undergone 44 Auto Mart's rigorous multi point inspection process by our team of ASE certified technicians as well as professionally detailed from top to bottom to bring back that original showroom shine! 44 Auto Mart is a family owned and operated dealership with 5 locations who has been in business for 30+ years and has proudly earned an A+ rating with the Better Business Bureau. 44 Auto Mart has developed partnerships with the nation's most competitive banks and credit unions to offer top of the line auto financing with low interest rates and many payment options! Come see us today and find out how easy it is to SAVE MORE AT 44! Message: Thought you might be interested in this 2013 GMC Sierra 3500HD.